Birthdays are some of the best times of the year, especially if you have kids! I love watching my children smile and laugh on their birthdays as they open each present they receive. Birthdays can also be times of sorrow as we remember loved ones who have passed away. Birthdays do bring a mixed range of emotions for sure. You may have loved ones that have moved away that you will not be with on yours/their birthdays. You may have family that has purposely cut you out of their life, which makes birthdays even harder. Whatever your case may be, always remember that God absolutely loves you! 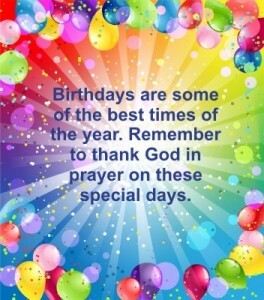 Here are 6 prayers for different birthday occasions. I hope you have enjoyed these 6 prayers. Whatever your situation is, God is with you. May you be faithful to Him always as you live a life worthy of the calling! My brother…you are on such a roll with prayers and perhaps God is using you to help many of us prioritize what we need to be doing…and that is being on our knees. I know I can only move forward if I am on my knees. I thank God for you brother and again, sterling work in the Spirit. Thank you brother! Prayer is essential, no matter what is going on around us. Every time I’m in the car with my kids I have one of them pray for people who are injured when we see an ambulance. 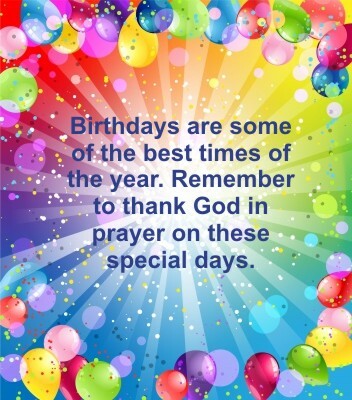 There is always something to pray about and birthdays are a great reason to pray! Bless you friend!